French Knots are good for filling, flower buds, dots in lettering, and anything else you can imagine. Step 1. 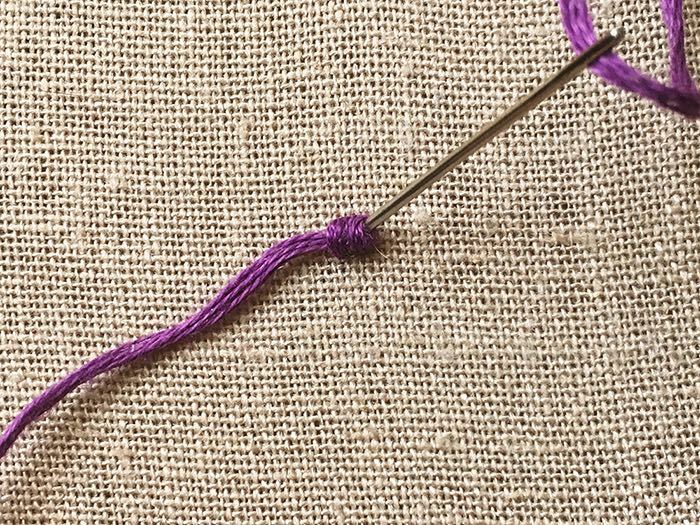 Come up at A. Wrap embroidery thread around the needle. Step 2. 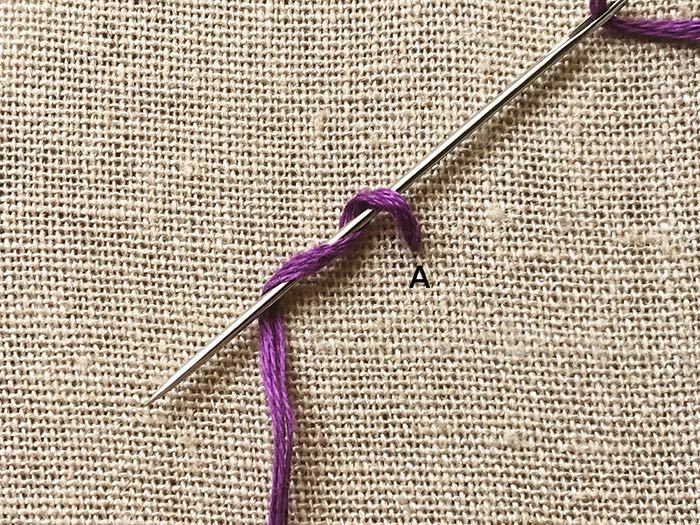 Keeping the tension in the thread, insert the needle through A and down the two loops created.